I know I owe you/me a recap of my training for the last two weeks, but to be completely honest, I’m not the best at writing up something that happened more than a few days in the past. 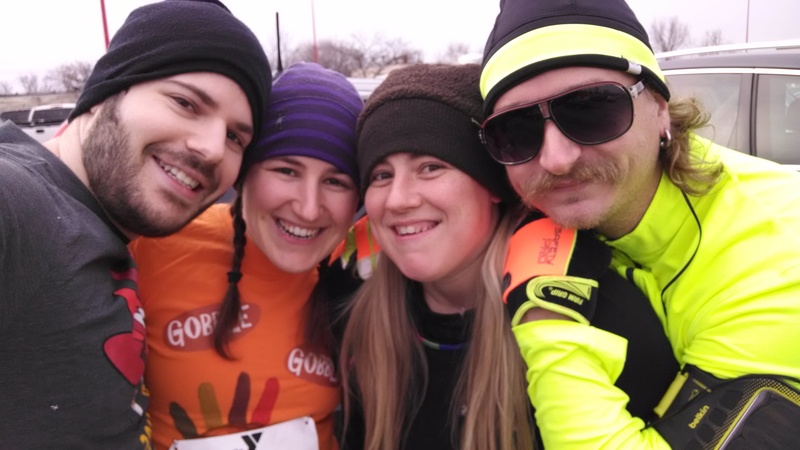 After all, I still haven’t written up my turkey trot recap, and some of the pictures I have from before that race are some of my all time favorites. OOoohh, maybe I’ll print one. We got a fancy new printer not too long ago that can print pictures wirelessly from my phone (guys, we live in the future! ), and I’m still getting used to the idea of having hard copies of pictures again. Anyways, I came on here to let you know that after my exam tomorrow, I should be returning, hopefully, to a more regular posting schedule. I’m taking my third acturial exam, and while I would obviously prefer to pass, either way, I should have more free time after tomorrow (at least until the next one!). I’ve still been getting the majority of my runs in while studying, and they’ve been a big help in calming my nerves. I feel just like I’m about to run a big race. I’ve put in the work and tomorrow I’ll know whether or not it was enough.